If you’re like many folks, the thought of baking a pie, especially during the holidays, can be a little intimidating, especially if you’re not a very experienced baker. Or maybe you love to bake, but don’t want all the fuss of making one from scratch. 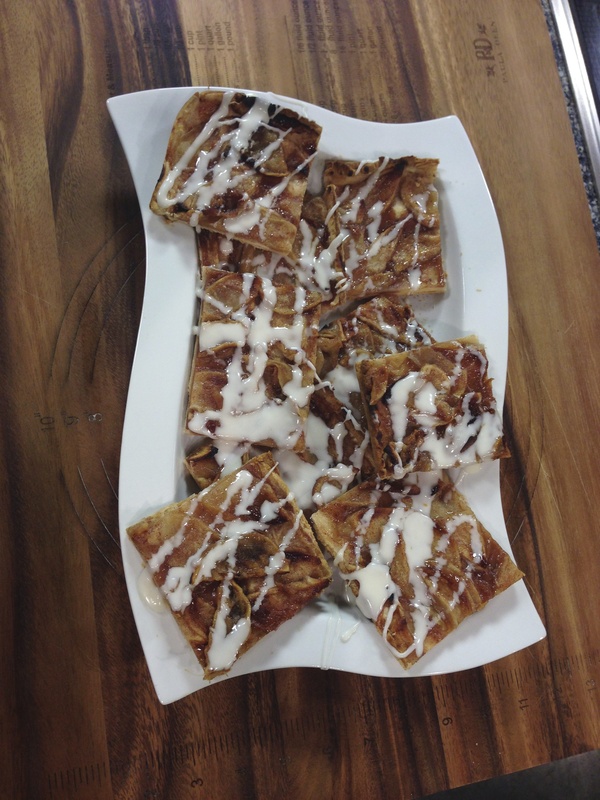 Here’s a simple alternative; an apple slab pie. This recipe is a real time-saver, and it is oh-so-delicious. Tender apples, flaky crust, and the perfect hint of cinnamon, drizzled with a creamy vanilla glaze. A bonus: it makes your home smell perfect…just like the holidays should smell. 1. Preheat oven to 425 degrees. Have ready a rectangular cookie sheet with a minimum one-half inch lip around all sides. 3. Press pie crust dough into the bottom and up sides of sheet. Trim off any excess. 4. In a large bowl, drizzle lemon juice over apple slices, then sprinkle with the granulated sugar, spices and salt. Stir well to coat all slices. 5. 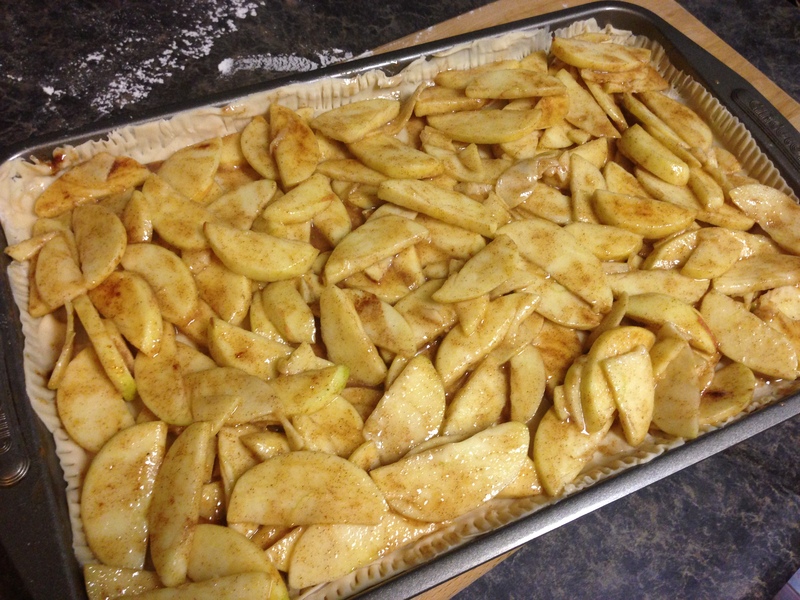 Gently pour the apple slices into the crust, and spread evenly to cover entire crust. 6. Bake at 425 for 15 minutes, then turn, and bake for about 15 more, checking occasionally for browning. Various ovens will brown at different rates, so pull out when browned nicely. 7. Allow to cool on cooling rack. In a small bowl, stir together powdered sugar, vanilla and milk, until smooth and shiny. I hope that this recipe makes your holiday baking easier and more fun! The Thanksgiving and Christmas holidays can be stressful, so anything we can do to make it easier will make the whole season more enjoyable so you can focus on what really matters: The people you love. What’s your favorite thing to bake during the holdays?